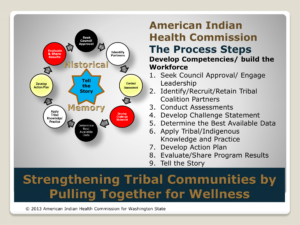 Click the image above to view the Pulling Together for Wellness framework. 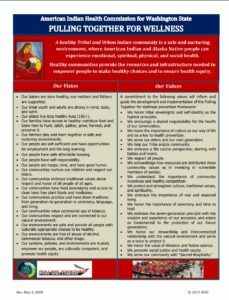 Click the image above to view The Process Steps. 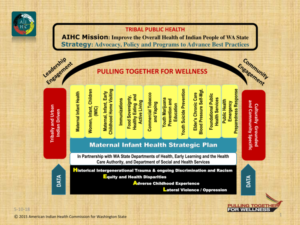 Click to view the “Healthy Tribal and Urban Indian Communities The Journey Forward” report: A Framework to Address Chronic Disease Prevention Through Policy, Environment and System Change. 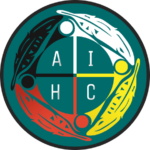 AIHC is facilitating the development of a Tribal and Urban Indian driven, culturally appropriate Healthy Communities framework as a comprehensive prevention strategy to reduce risk factors for chronic disease among AI/ANs in Washington State.